Hours for Saturday School are 8:30 – 11:30. We meet in the library. The remaining Saturday School dates for the fall semester are as follows: Nov 14, Dec 5, Dec 12. Congrats to Mr. Reinberg for being selected as the AVID Teacher of the Month! Thank you for all that you do! Plano ISD has implemented InfoCenter, allowing you to better control how you receive communications from your child’s school and Plano ISD. The following is a guide to help you get started. What is InfoCenter? : InfoCenter provides access to all the messages and information sent by your child’s campus and Plano ISD. Accessible from any internet-enabled device, InfoCenter visually displays and organizes alerts, notifications, and attachments for easy review and reference. InfoCenter also allows you to customize how you receive communications from PISD (campus and district). 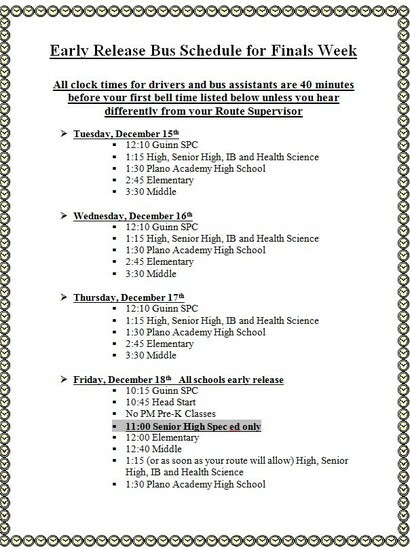 From the Plano West Nurse - Flu Vaccine! As long as flu viruses are spreading and causing illness, vaccination can still provide protection against the flu. Flu activity doesn't usually peak until January or February in the United States, and the season can last as late as May, so it is important to vaccinate now if you haven't already. The following student’s art work has been selected to represent Plano West Senior High in the Plano ISD Fall Art Exhibit. The show is being held at the Sockwell Center until December 7. Please congratulate these students on their outstanding work. The Sockwell Center is located at 6301 Chapel Hill Blvd. Beginning December 7, STARR EOC retests will be administered to students who have not yet passed specific EOC tests. Tests begin at 9:00 a.m.
By Friday, December 4, during the school day, students will be sent a written notice telling them which test is being administered and its location. Because students need to pass these tests before graduation, please make every effort to be present in the testing room by 9:00 a.m. on specified days. All Juniors will take the STARR US History EOC test on May 4, 2016. On December 2 the Counselors will be delivering your Collin College Registration forms to you during your Collin College class. You need to have a parent sign your form and then return it to the Counseling Center by December 4. Collin College will pick-up the forms on December 7. All forms not returned to the Counseling Center by that date will need to be delivered to Collin College by the student. You may register and pay online through your Cougar Web account between December 11-18. 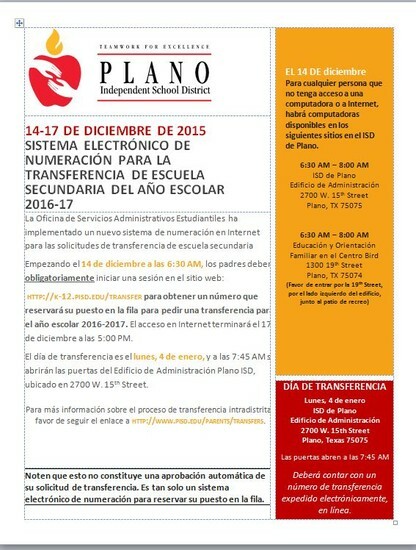 December 18 is the deadline for registration. 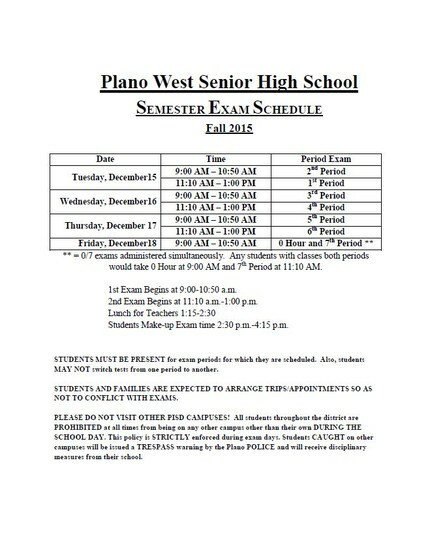 Students not registered by December 18 will be dropped from Collin College and added to a Plano West class. For January 1 college deadlines, letters of recommendation must be requested by December 1. Recommendation letters are not written during the holidays. Senior Transcript Requests for Colleges with January 1st deadline: Transcripts should be requested by Thursday, December 10th. Remember to screen-print the “Colleges I’m applying to” page from Naviance, and turn it in to the Registrar’s Office. 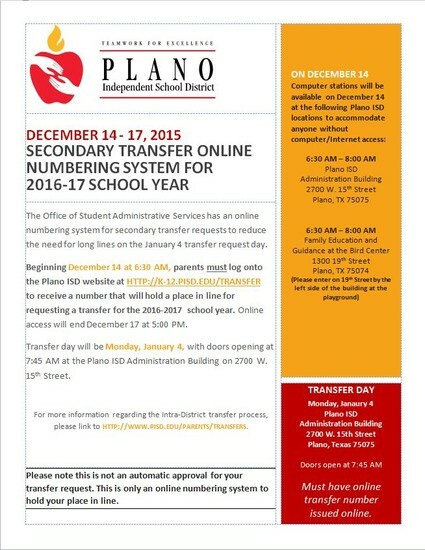 The On Line Numbering System for SECONDARY transfer requests will be available beginning December 14th at 6:30 am. Parents must log in beginning December 14th to receive a number to hold a place in line for them on the January 4th transfer day. See flyers below. Wrestlers (Varsity & JV) meet at the school Saturday 6:30 am to catch the bus. Support the Blue Nation Wrestlers! Need a break from making dinner from the holiday rush? Dine at Raising Canes on W. Park Blvd on Wednesday, December 9 from 5-9pm and mention Shepton High School Stallion Club! Just in time for the holidays! 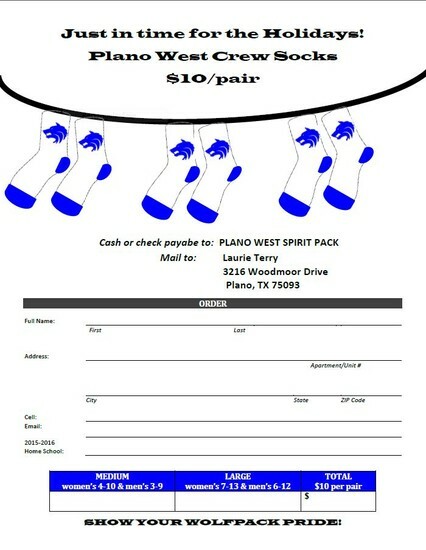 Plano West socks are on sale for $10 a pair. Crew socks are white with blue wolfhead, available in adult medium and large. Please see attached flier to order! children will leave you awed with the beauty of their voices. There will be a reception in the Lobby following the concert. 12 - 5 pm. Come early if you can so our volunteers can go home. Thank you again for supporting The Blue Nation Choir. Mr. West Voting! Time to select your top 10 candidates for this year’s Mr. West Pageant & competition! After logging in to your PISD google account, go the following website to vote for your top candidate: www.tinyurl.com/mrwest2015. The top 10 candidates that receive the most votes will move onto to the next round and begin preparing for the Mr. West pageant show on Saturday, February 13th! Look out for tickets to go on sale in early next semester! FFA Pecans have arrived! If you have placed an order, expect delivery soon! Missed a chance to order? We a limited amount of pecans, halves, frosted pralines, and pecan syrup available for sale. Contact Jamie Hanna, FFA Fundraising Chairman, at jamiehanna@verizon.net or 469-231-2431 for details. Yugioh club will meet in room A1119 from 4:15-6:30 on Friday, December 4, and will meet at the same time every Friday each week. Writer's Guild will be having a meeting on Monday, December 7th in Ms. Heck's room, A2015, during 7th period and after school. This is the last meeting of the semester, so everyone should bring some food to celebrate. There will be food, friends, and fun! Please come to socialize with fellow members. DECA: Last call for competition registration! Sign up at tinyurl.com/pwDECAreg - $35 registration fee due to Mrs. Bowen in G129 by Wednesday 12/9, please make checks out to PISD. Come to Art Club’s Winter Party and Studio Night on Thursday, December 10th @ 4:15-6:00. We’ll be having a Cupcake Decorating Contest and making DIY Snowglobes and Ornaments! Hope to see you there, make sure you sign up in the Art Hallway by Friday, December 4th to get cupcakes & snowglobe makings! KEY CLUB MEMBERS: Our next club meeting is Thursday, December 10th after school in the presentation room. This meeting will be your last chance to get a big event, small event, our meeting credit before hour sheets are due on December 14th. In preparation for this meeting, please bring a new, gender-neutral toy of at least $5.00 in value suitable for a child ages 5 to 6. We will be donating these to children at Barron Elementary School in Plano! Chess Club will meet on Wednesdays in A1167 during both lunches. All skill levels are welcome, from beginner to advanced. Youth for Christ meets every Wednesday at 4:15p.m in Ms. Gomez's room, A2030. Everyone and anyone is welcome. Anime Club will meet every Thursday. Meet new friends and watch anime movies or episodes. Join us in Room B-209 (Ms. Roop-Morland) at 8:15am or 4:20pm OR Room A-2060 (Mr. Cherry) 7th period. FREE! FREE! FREE! All interested students, now is the time to register (FREE!) for the 2016 USA Biology Olympiad (USABO). Just create a FREE account at www.usabo-trc.org/student/register before JAN. 22, 2016 selecting Plano West from the drop-down menu of participating schools. Remember your USERNAME and ID for the FREE Open Exam, Round 1, to be given the week of FEB. 2, 2016. Please see Ms. Roop-Morland (B-209) if you have any further questions. FFA is selling Vouchers for a Flat of Cristina’s Fall Flowers 18 – 4” pots including: PANSIES, DIANTHUS, DUST MILLER, PETUNIAS & VIOLAS. – you can mix and match the flowers! Contact an FFA member or Jamie Hanna at jamiehanna@verizon.net to order some today! The Heuristic Howler - Calling all writers, artists, photographers, and anyone else with a creative flair! 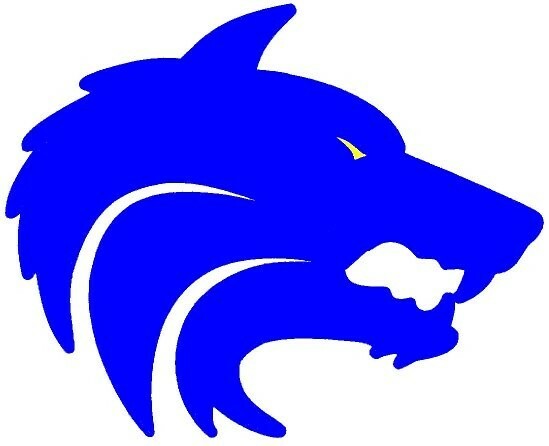 If you would like your work to be published and recognized, submit to the Plano West literary magazine, The Heuristic Howler, at pwshwritersguild@gmail.com. Pieces of writing should not exceed 2000 words, and art should be sent as clear pictures. Make sure to include your name (can be anonymous or use an appropriate pseudonym), the type of submission, and an attached file of your work. Submissions will be reviewed on a rolling basis, and earlier submissions will be prioritized. Please have the submissions in by winter break. The link to last year's literary magazine can be found in the attachments. 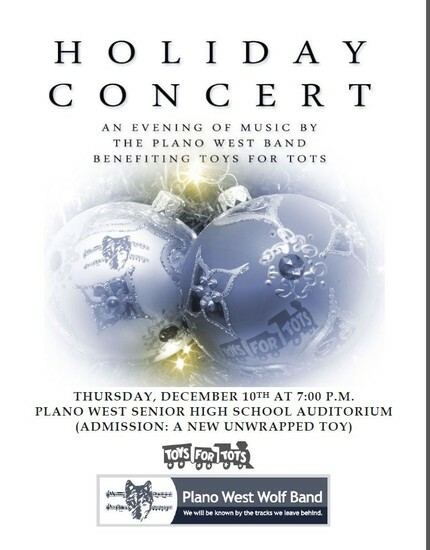 Band Holiday Concert benefitting Toys for Tots, see flyer below.